I inherited this bar bottle from my grandfather. I haven't been able to find even a picture of another one searching the web. The bottle is 11" tall, and approximately 3-1/2" wide. The glass has a light purple tint. 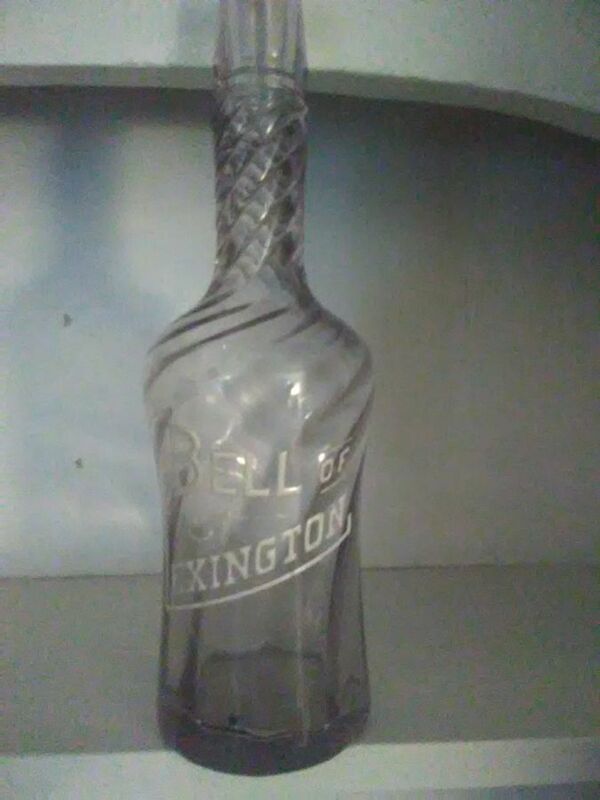 It is embossed Bell of Lexington in white letters And has a swirl pattern. Any help with rarity and value would be appreciated. Thanks for posting. Your bar decanter is later 19th century. Yours is somewhat above average with its swirl pattern in the glass. I would put the value in the range of $100-150, possibly more. There may be a bit more demand for the particular Bell of Lexington brand which might put the value perhaps $100 more. That's great, thank you for the help Chris.